My dear, sweet friend, Evy Hawkins, has created a wonderful tutorial for taking The Cottage Mama ‘Tulip Petal Sun Hat‘ free pattern and making it reversible…….thus a Reversible Tulip Petal Sun Hat! She’s also sharing how to add embroidery to this darling hat. Isn’t the one she created for her granddaughter just the cutest? Evy is an incredibly talented seamstress and has so much knowledge to share! 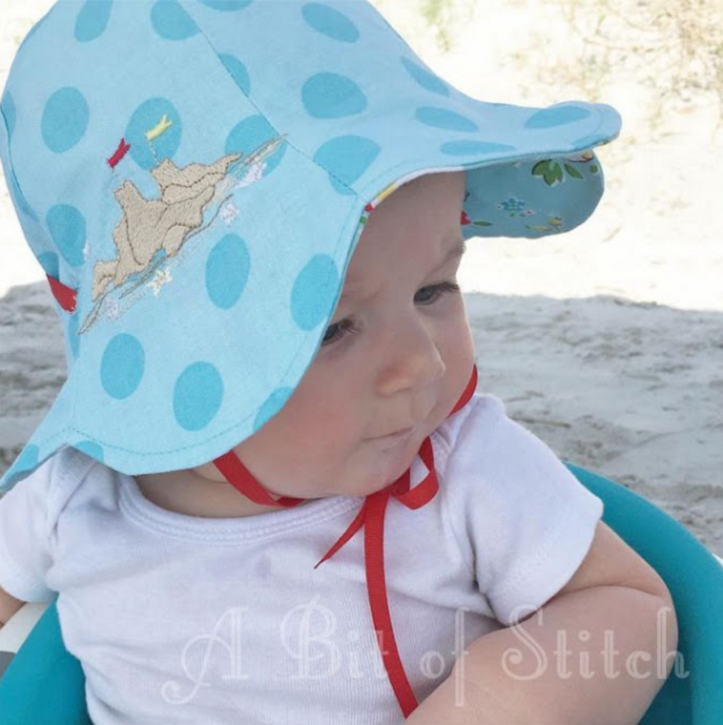 You can head over to Evy’s blog, ‘A Bit of Stitch‘ to get the full tutorial and create one of these sun hats for your little one! Your patterns and video tutorials are inspiring. My daughter is having her first girl after having 4 BOYS! and I just bought a new Destiny II after not sewing for 30 years. Life is good. Keep up the good work.